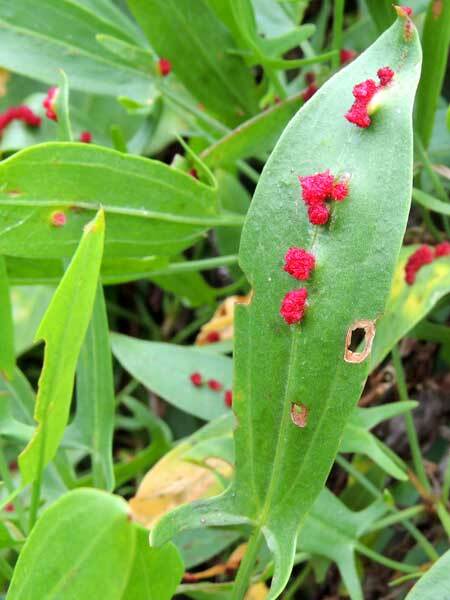 Leaf of Rumex usambarensis with bright red leaf galls likely caused by gall mites. Iten, Kenya. July 2014. Copyright Michael J. Plagens. Page created 5 January 2015.